Prison Reforms in India || Is it important ? The Question of Prison Reforms is taking an Uprise since SC said it would constitute a committee under the chairmanship of its retired judge to look into problems in jails, including overcrowding, and suggest measures to deal with it. 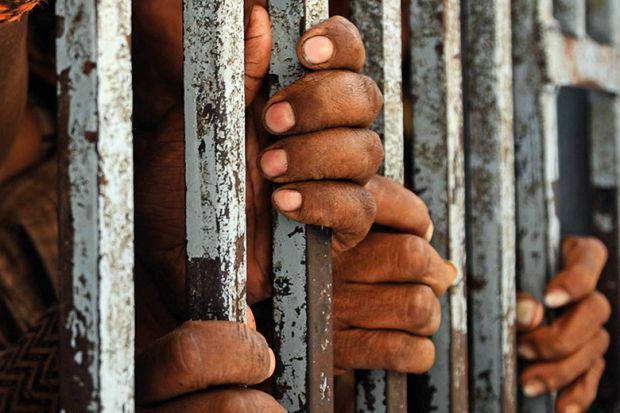 India has a total of 1387 functional jails in India with a total capacity to house approximately 3.5 Lakh prisoners but the total number of prisoners in these jails is around 4.18 Lakhs. Some jails in the country are overcrowded by more than 100 percent and a few by margins of a staggering 500 percent. Corruption is quite common, leading to the smuggling of weapons in prison. Which leads to many deaths in gang rivalry inside the prison. inequality is often observed inside the prison on the basis of their caste, religion by the Police authorities. The women prisoners face sexual violence. Kids of imprisoned people had to stay until they are 6 years old. The government should come up with a National Policy on Prisons. In every state and UT, a Department of Prisons and Correctional Services should be set up. Payment of fair wages and other incentives of leave, remission and premature release to convicts for improvement of their behavior should be incorporated. Those convicted for non-violent socio-political economic agitations for public cause shall not be confined in prisons along with other prisoners. Young offenders (between 18 to 21 years) shall not be confined in prisons meant for adult offenders. There should be necessary provisions to restore the dignity of women even if convicted under the criminal code. there should be separate institutions for women offenders. And the staff for these institutions should comprise of women employees only. the government should provide free legal aid to all women offenders. A culprit sent to prison so that he/she could understand their mistake and come out as a developed human. Kids living in Prison grow up among criminals, so there is a high chance they may also get in the wrong field. Even on the world's scale "Vijay Mallya extradition case is lagging, because of the poor conditions of Indian Prison's"
thRadical :Short notes for Competitive exams: Prison Reforms in India || Is it important ?